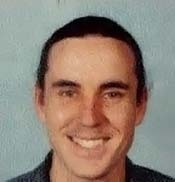 Paul P Roberts was born in Sydney in 1969. He received a BSc(Hons) in Applied Mathematics in 1991, a BE in Electrical Engineering in 1994 and a PhD all from Sydney University. He has held numerous short-term appointments in the fields of mathematical statistics, optical confocal microscopy, ultrasonics and MMIC filter technology. He moved to the Australia Telescope National Facility, to work on the development of digital instrumentation for the radio telescope systems. His research interests include practical applications of inverse scattering and microwave technology. Mr Roberts was responsible for the design of a range of novel digital integrated circuits using InP HBT technology. He has successfully applied these ICs to the development of high-speed analogue to digital conversion circuits and in optical fibre systems. He was a member of CSIRO’s final mask layout team at the NGST plant in Los Angeles for the HBT wafer run. He was a joint recipient of the 2002 CSIRO Medal for Scientific Achievement for Ultra Fast Integrated Circuits. Roberts PP, 2009, Personal communication.